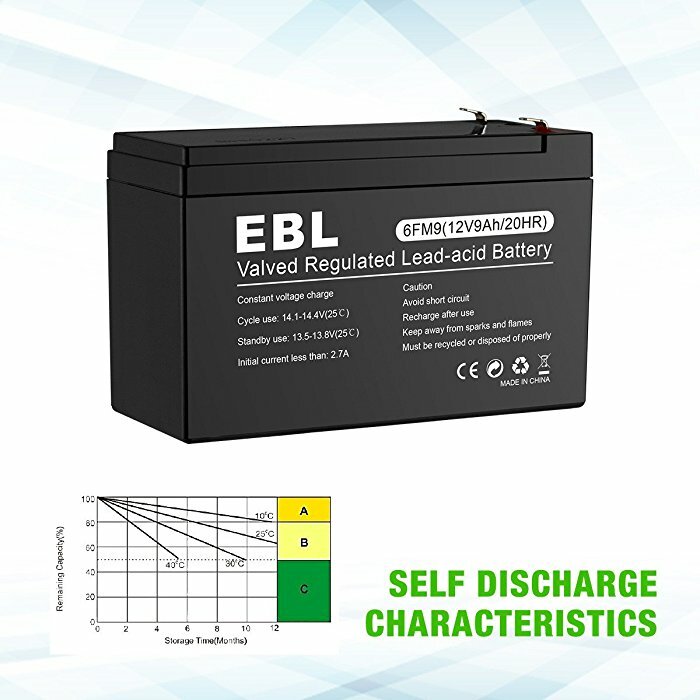 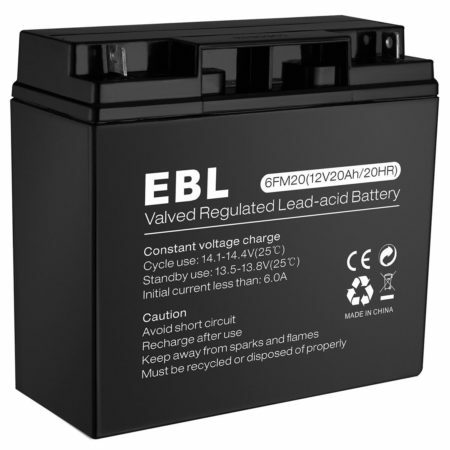 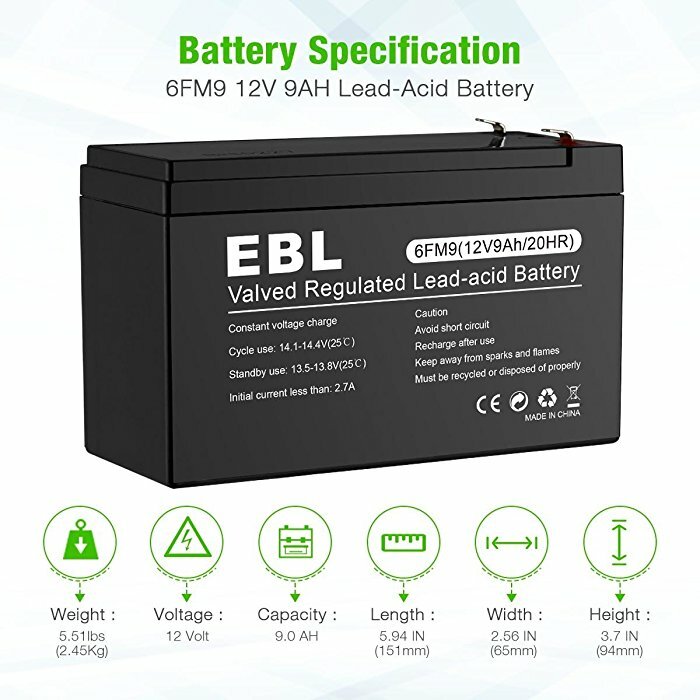 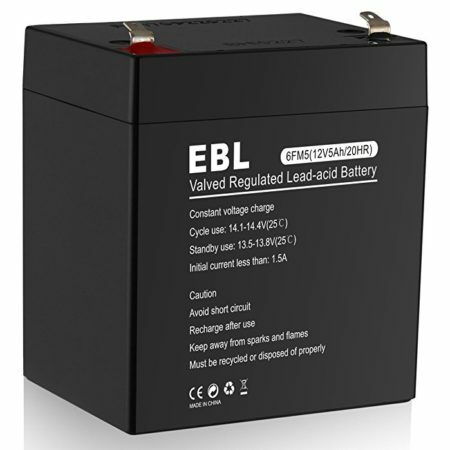 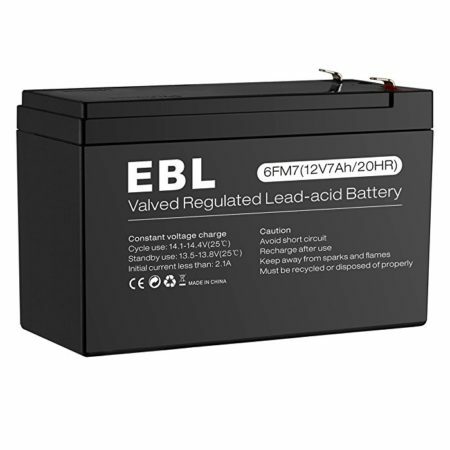 EBL 6MF9 lead acid battery is designed with a compact size. 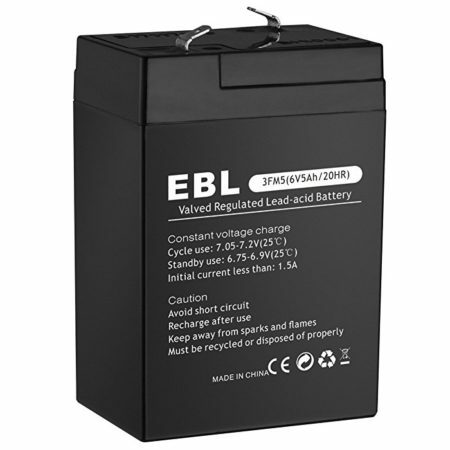 The outer battery container is made of durable ABS material. 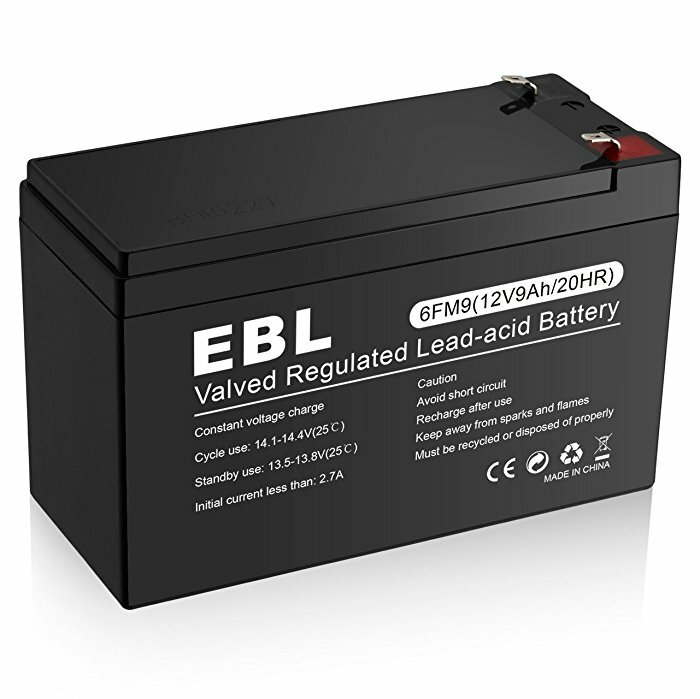 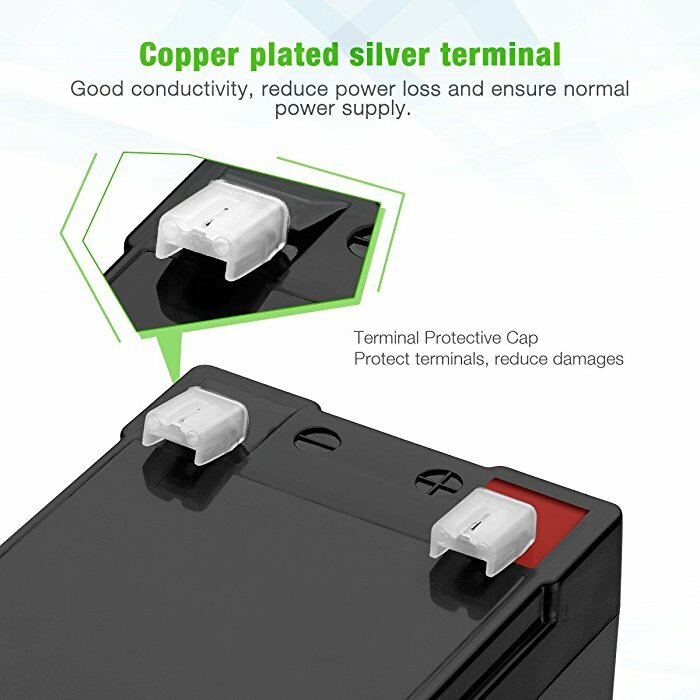 Long Battery Life: This 12 volt 9 Ah sealed lead acid rechargeable battery is a long lasting VRLA battery with up to 5 years lifespan for float charging at 25℃. 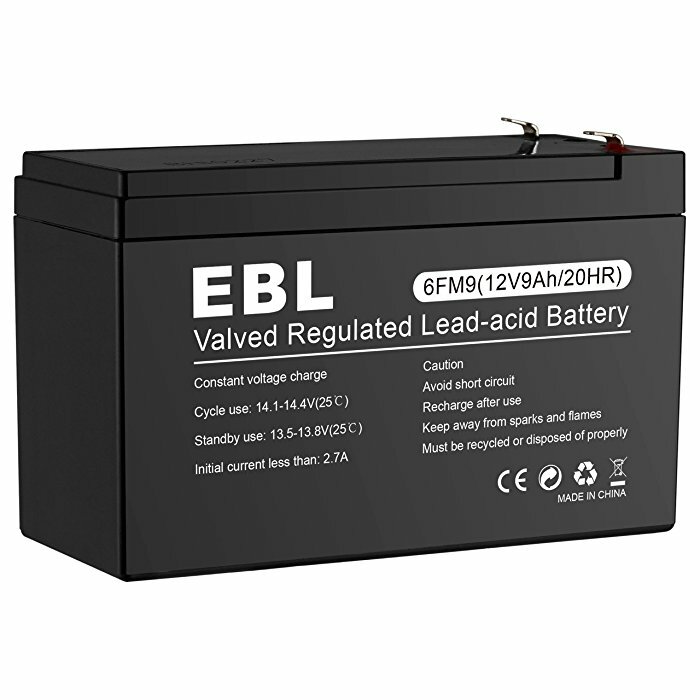 Based on AGM(absorbent glass mat) and oxygen recombination technologies, the lead acid battery has great performance to power a great many applications. 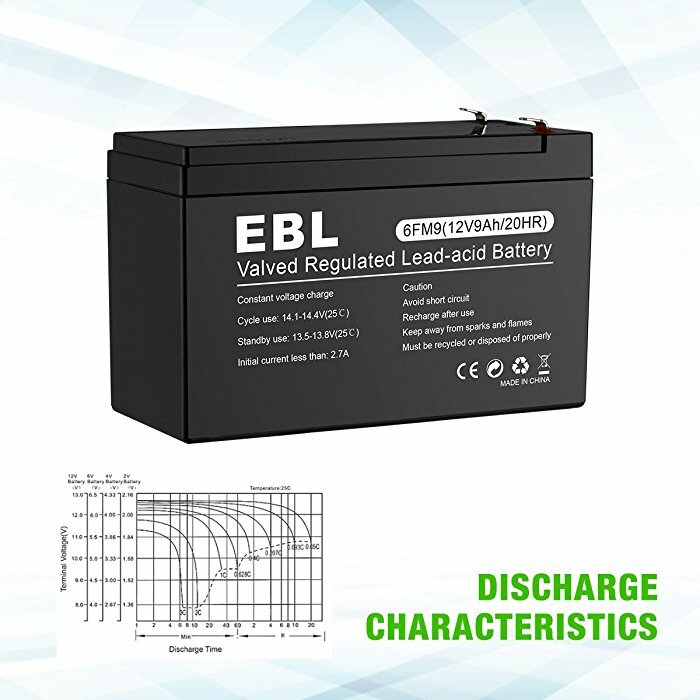 The lead acid battery is made of reliable battery cell with excellent efficiency and safety in use.